Biddy Livesey – a housing policy analyst, researcher, and future resident of Cohaus – explains cohousing. In part 1: an intro. This article was originally published on Greater Auckland, and is reproduced with permission. Our cities are changing. The cost of land is increasing, the way we move around is evolving, and our lives are different to the lives our parents and grandparents led. Our housing needs to change too. This post outlines the concept of cohousing, and the differences between cohousing and commercial property development, including the effects on affordability, design, and allocation of space for public and private uses. • Participatory process – residents participate in the planning and design process. • Purposeful separation from the car – cars parked away from private residences encourage community interaction, and also maintains the safety of outdoor play spaces. • Complete resident management – the community is self-managed. This model is similar to the ‘building group’ model found in Europe, where people join together to visualise and finance a housing development (see examples in Berlin, Switzerland, and Denmark). Under this model, the development includes jointly owned spaces, but after development each owner holds a unit title for their apartment. 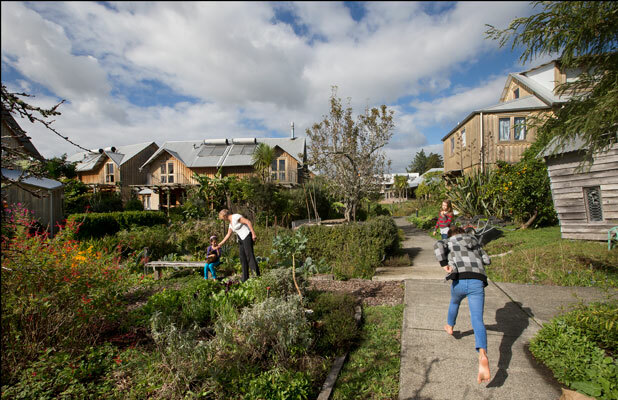 Cohousing is a great model for developing new affordable housing, which – as we all know – is in short supply in urban Auckland. Why can cohousing be more affordable? Commercial property development is led by a professional developer, and driven by ‘return on investment’, or the expected profit from a development. In contrast, a cohousing development is led by the future residents, and no financial profit is expected from a development. In a hot property market like Auckland, the biggest contribution of the cohousing model to creating affordable housing is building a form of housing which efficiently uses our most valuable resource – land. Through commercial property development, developers aim to create housing which can be sold for the highest price possible, which often means maximising private unit size. In cohousing, future residents can decide to reduce individual costs by reducing the size of individual units. Living comfortably in smaller units is made possible by increasing the size and quality of shared spaces, and by creating a functioning community who can work together to ensure that shared space is well-used. In cohousing, residents contribute the vision, guide the design, and finance land purchase and construction. Future residents invest time, effort and money in a cohousing development, but the return on this investment is a high-quality home designed specifically for the people who live there. The philosophy of community also makes cohousing more affordable to manage. In a commercially-managed apartment building, residents pay a body corporate fee to a professional property manager to look after maintenance and repairs, property sales, and managing relationships. 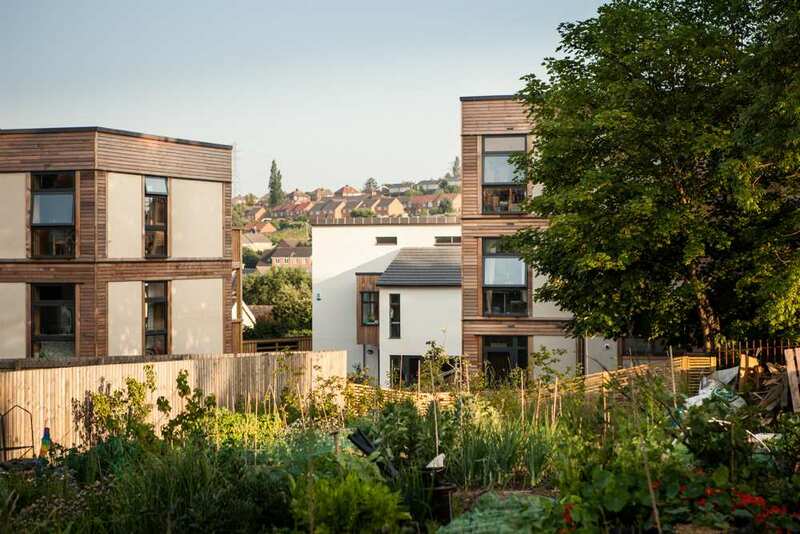 In a cohousing development, residents can reduce the cost of body corporate fees by taking on many of these roles themselves. Residents can use their own time and skills for management and maintenance. Other savings are also possible through bulk buying of services such as electricity, water and internet. Why does co-housing create a higher quality and unique living environment? If you purchase an apartment from a commercial property developer, you are generally restricted to choosing an apartment design, and a floor in the building. Apartments are provided to the purchaser fully finished – walls painted white, bathrooms tiled in a colourful mosaic, and kitchen ready-to-use with marble counter tops, swivel taps and cupboards designed for an anonymous cook. Many people who move into an apartment may immediately paint the walls, and make plans to refit the bathroom and kitchen to meet their needs, when they have the money. In a cohousing development, more decisions can be made by future residents. Collectively, future residents can choose what will suit them best. Enabling residents to make these decisions means that the apartments in a cohousing development can reflect the budget, physical requirements, and preferences of residents. How does cohousing rebalance private and public space? • Houses are located closer together and more space is given over to communal (rather than private) outdoor space. • A range of spaces are provided including a small private yard or courtyard for individual dwellings, shared spaces for the use of defined clusters of houses, and common space for the use of the whole community. • Vegetation, rather than fencing, is used to create boundaries between private/shared/communal zones, and to create areas of defensible space. • Car parking is located on the periphery of the site, often in communal car parks rather than in private garages attached to dwellings. Emphasising the importance of social contact between residents influences the design of the collective housing developments, shaping the experiences of people living, visiting, and walking past. For many people, the stereotype of two parents and two kids living in a stand-alone house on a section with a fence has never reflected our reality. Many of us grew up in houses with extended family, or flatted with friends, or live in divided villas or bungalows that bring us into close contact with our neighbours. In addition, many children are staying in their parents’ homes for longer. Recent data shows that, on average, children now ‘leave home’ three times. In this sense, living more closely together in a cohousing development is nothing new to New Zealanders. Existing developments founded on cooperative or cohousing principles in Aotearoa New Zealand include Riverside community (Moutere, 1941), Creekside community (Christchurch, 1974), and Earthsong (Auckland, 2008). In Dunedin, the High Street Cohousing Project recently achieved resource consent for 22 units, a common house and shared grounds. Construction of the development will begin in mid to late 2018. In Aotearoa New Zealand, it is important to acknowledge that cohousing echoes the traditions of collective housing development exemplified in indigenous built forms such as papakāinga, pā, and kāinga. Papakāinga are based in kaupapa Māori philosophies, and are built by whānau holding mana whenua within their ancestral territories. 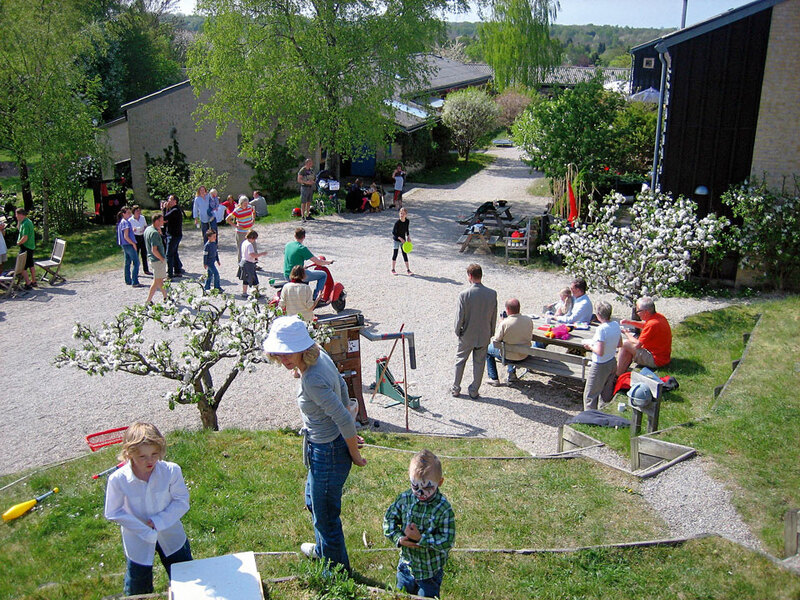 The concept of “cohousing” is based in philosophies which draw on experiences in European countries and have been widely publicised by co-housing advocates such as Charles Durrett and Kathryn McCamant in North America. Both papakāinga and cohousing developments provide alternatives to mainstream apartment developments or stand-alone homes. Because of the ability of collective housing groups to build more affordable housing, local and central governments are investigating how to support cohousing developments. In Hawkes Bay, Hastings District Council is contributing 59 sections to support a cohousing development in Flaxmere. Across the Tasman, the government of Western Australia’s development company, Landcorp, is working with the University of Western Australia and German architect Kirstein Ring to create a Baugruppen Innovation Project in Perth. Baugruppen (literally ‘building groups’ in German) bring together future owner-occupiers to develop multi-unit housing that is well-designed, sustainable and suitable for their long-term needs. However, despite the potential contribution to affordable housing, and the interest from local and central government in alternative models of housing, a number of cohousing groups in Auckland have struggled recently to navigate the complexities of finding a suitable site, financing land purchase, and completing the planning process. In the next post we will look at a proposed cohousing development in Grey Lynn, called Cohaus.